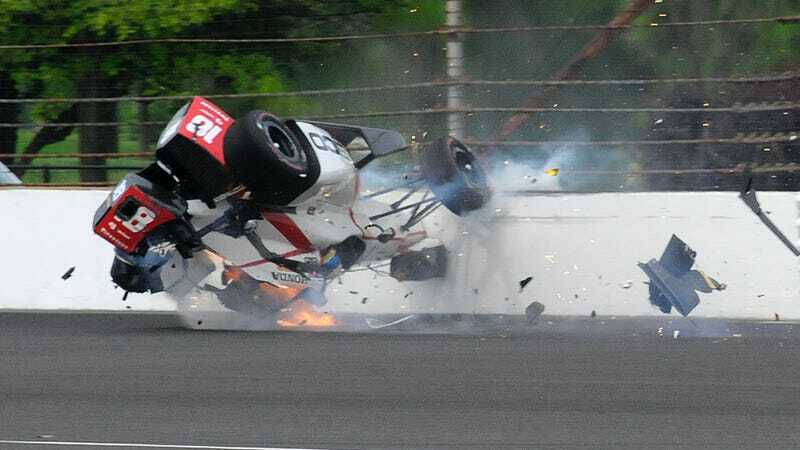 IndyCar racer Sébastien Bourdais was expected to sit out the rest of this year after fracturing his hip, pelvis and two ribs in a violent Indianapolis 500 practice crash last May. However, after being cleared by doctors to race again last week, Motorsport.com reports that Bourdais will return to racing this weekend at Gateway Motorsports Park. You have no idea how excited I am to be getting back in the car this weekend and for the remainder of the season. It’s been a long 14 weeks and I’ve worked very hard to get to this point. Following the crash, I had one goal in mind and that was to be back for Sonoma, and here I am getting back in the car with three races to go. It’s a bit unbelievable but I can’t wait to try out that new surface at Gateway this weekend. It’s incredible how fast he recovered, too. Bourdais sustained 118G of force in the crash after losing control of the car in a 220 mph qualifying run that was set to become the fastest run of the day. He was immediately rushed to a nearby hospital, where doctors operated on him that night. After the crash, team owner Dale Coyne said there was no way he was letting Bourdais back in the car this season, as he’d rather wait for Bourdais’ injuries to heal completely before Bourdais even thinks about getting back in the car. But that came early thanks to Bourdais’ diligent work in rehab and the wonders of modern medicine, so Coyne has one of his fastest drivers back in the car. While this means ex-Formula One driver Gutiérrez is out of a drive for now, Coyne did tell Motorsport.com that he hopes to work more with the young driver in the future, as he did surprisingly well on IndyCar’s ovals for someone who’d never raced on an oval before. It’d be fun to see Gutiérrez come back and try out the Indy 500, that’s for sure.